I didn’t know Crack Slaw was a thing but a quick Google search shows that clearly I’m out of the loop. It looks to be a staple of paleo, keto and low carb diets. Me? I’m just looking for ways to get more big flavors and veggies packed into my meals. 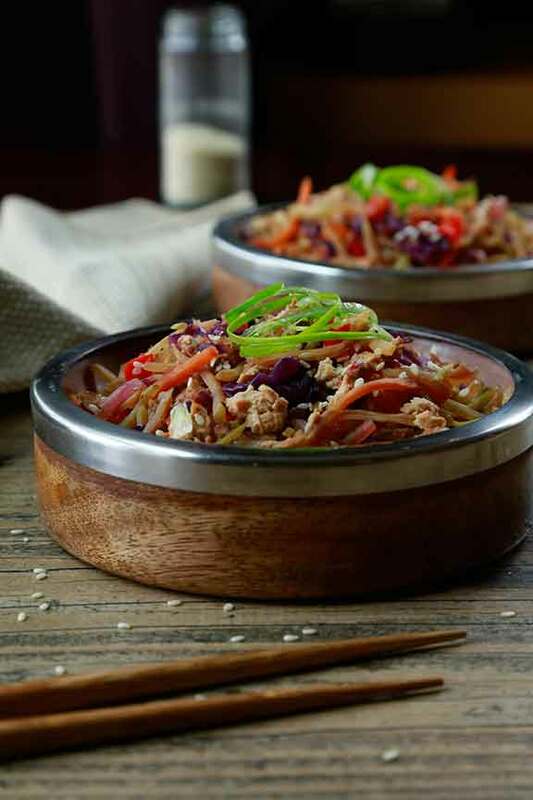 Crack Slaw, so called because it’s supposed to be addictive, ya know…like crack…is basically a quick stir fry using ground meat, cabbage and veggies. I used red peppers and broccoli slaw in mine but this could easily be changed up to include snap peas, mushrooms, carrots, water chestnuts…any of your favorites. I used ground chicken but turkey could easily be swapped in. If you’re not so concerned with keeping it lean, pork or beef would work great too. Vegetarian? Use tofu. Yes – it’s that flexible. And easy. This recipe came together in about a half hour. Crack Slaw reminds me a lot of the filling in spring rolls. This would also make awesome filling for lettuce wraps. Gotta remember that for next time. I have 4 little containers all packaged up in the fridge ready to go. I’m thinking my lunches this week are going to be a little more interesting than they usually crack up to be. *These points were calculated using the official Weight Watchers SmartPoints calculator. I am in no way affiliated with Weight Watchers. 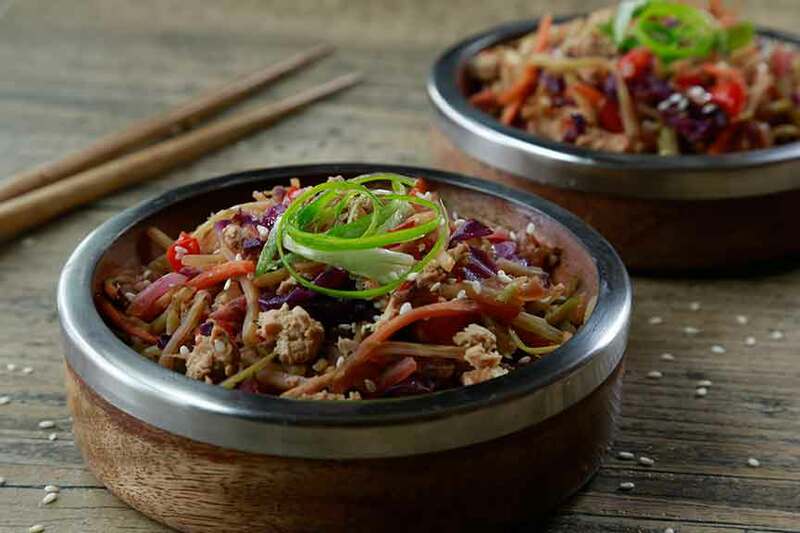 Crack Slaw reminds me a lot of the filling in spring rolls and would be an awesome filling for lettuce wraps. Grab your largest skillet and add the olive oil. Heat over medium high heat. Add onions and red pepper and sauté until soft, about 5 minutes. Add the chicken, garlic and ginger, and cook until brown using a spatula to break up the chicken pieces. Remove chicken from skillet and set aside. Add cabbage and broccoli slaw to the skillet and cook until wilted, about 10 minutes. Return the cooked chicken to the pan. Add the soy sauce, sesame oil, vinegar, Sriracha and fish sauce and heat through. Season with salt and pepper and more Sriracha as desired. Garnish with sliced green onions and a sprinkle of sesame seeds.